Why get GAP cover for a camper van? How much should you pay for GAP? Don’t be ashamed if you have never heard of Guaranteed Asset Protection (commonly called GAP insurance). It is one of those things that you won’t give a moment’s thought until someone tries to sell it to you. In the most simple of terms, if you should suffer the unfortunate loss of your camper van or motorhome through an accident, theft or damage and your insurance company pays out, you will receive the market value of your vehicle at the time of loss. That figure is highly likely to be less than what you paid for it when you bought it, what is owed on finance or the cost of replacing it now - or possibly all three. GAP insurance is an insurance policy that will cover the shortfall between those figures. This is an important question only you can answer. Camper vans and motorhomes tend to be higher value vehicles so the ‘gap’ is likely to be bigger the higher value it is. If you have bought your camper or motorhome recently, whether outright or on hire purchase, then GAP insurance makes more sense in these circumstances; the basic principle affecting the size of the gap is depreciation which, almost regardless of the vehicle in question, is most severe at the time of purchase but is less so over time. That means that generally speaking, the longer you own the vehicle, the smaller any potential gap will be. What are the different types of GAP insurance? The two most common types of GAP insurance are finance and return to invoice. If you have bought your motorhome or campervan on hire purchase, finance GAP insurance will cover the difference between your car insurance payout and the sum owing to the finance company to settle the agreement. Return to invoice GAP insurance will pay the difference up to the original purchase price of the vehicle, so is the best option if you have bought the vehicle outright although it can also be bought if the vehicle is on hire purchase. A third option is vehicle replacement GAP insurance, which goes beyond return to invoice and will pay out what it costs to replace the vehicle today, even if that amount is more than you originally paid if the price has increased. As with any other kind of insurance, the higher the level of cover and the longer the period, the higher the premiums will be. Generally speaking, a return to invoice policy will be cheaper than finance or vehicle replacement policies, and the shorter the period covered the cheaper it will be too. Shouldn’t this be covered by my standard insurance policy? The elements that determine what GAP insurance will cost are the length of the cover period, the value of the vehicle at the time of purchase and the rate of depreciation of the vehicle, and in each instance the greater the value the higher the premium cost will be. To help reduce the cost of the premium it is crucial to do some homework and calculate what your particular requirements are. Many motorhome or camper van buyers like to keep their vehicles for many years, but you only need GAP insurance to cover any shortfall that you would not be able to manage yourself, whether that is covering the finance period or until depreciation has brought the replacement value down. Insurers will suggest a recommended level of cover but you should double check and make your own judgement to ensure you have an adequate level of cover. We've arranged a deal on GAP insurance just for the readers of HonestJohn Vans. Use the ALA GAP Insurance voucher code HJVAN68 at ALA GAP Insurance* and get 12 per cent off the standard price of a policy. Make sure you use the code before 30 April 2019. A dealer is not allowed to sell or offer GAP insurance at the same time as the van or motorhome is sold. There must be a buffer of a couple of days between you being given the cost of the vehicle and the day you can buy GAP insurance. This to ensure separation between them so they cannot be lumped together as a single purchase, and it gives you time to shop around. Do I have to buy GAP insurance from the dealer? Absolutely not. Like any insurance, you can buy from whomever you want and there is no obligation for you to buy from the dealer in order to get an agreed price for your camper van or motorhome. You are more likely to get the best price by shopping around rather than taking the first figure you are given. What are my legal rights for GAP insurance? As well as the ruling on the timing of GAP insurance being sold to you, as a financial service it qualifies under the cooling-off period rules. That means you have a period after completing any GAP insurance purchase in which to change your mind; normally it is 30 days but it is important to check your specific paperwork to determine the period with your particular insurer. Less scrupulous companies may tell you a cancellation fee applies if you do cancel within the period - if so, consider using a different insurer. What is covered under GAP insurance? The terms and conditions of your policy define the cover and will explain what is and is not covered under your policy. Whether you are choosing return to invoice, finance or vehicle replacement GAP insurance it is absolutely essential you understand the paperwork and you are clear on the stipulations of the cover. There all kinds of restrictions and limitations in place. Check these before agreeing. 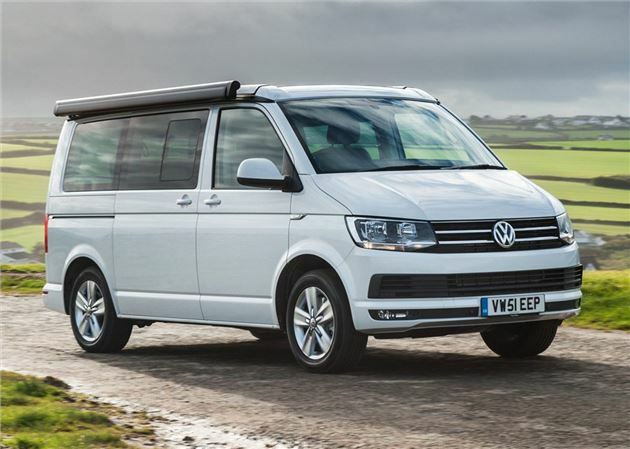 If your camper van has a dealer-fit awning or bike rack, for example, will your policy cover the value of its replacement? If you have any doubts be sure to discuss them with the insurance provider, and do not sign until you are completely happy. Can I claim back GAP insurance if I believe it was mis-sold? It’s important to understand that there is nothing wrong with GAP insurance as a product in itself - it can protect you from a major financial shortfall in the event that your motorhome or camper van is damaged beyond repair or stolen, and therefore is worth careful consideration should you be making a purchase. Where issues have arisen is in the manner that GAP insurance has been sold to some customers. In a manner not dissimilar to PPI, some unscrupulous dealers have sold GAP insurance to customers without being clear on the details of the policy, up to and including inflating the price of the policy or implying it was a condition of obtaining the deal on the table. How is GAP insurance mis-sold exactly? According to research conducted by Honest John Vans and relevant authorities, GAP insurance can be mis-sold in several ways. The most troubling, but also less prevalent means of mis-selling is by GAP insurance being rolled into the finance agreement for your camper van or motorhome. This is only possible if you bought the vehicle with finance provided by the dealer, and your paperwork should show if this has occurred. Mis-selling also occurs when dealers have implied that a financial agreement for the purchase of a vehicle will only be approved if GAP insurance is also purchased. As with PPI mis-selling this is an untruth - GAP insurance is not a prerequisite of approval or even attempting to take out a vehicle loan, and so constitutes a mis-sold policy. Other instances of mis-selling a more subtle and require closer examination of the details. Instances of policies being incorrectly described - offering more cover than they do in reality - being sold an unsuitable policy for your circumstances or a policy that is unfairly restrictive to the point where a payout is almost impossible could also constitute mis-selling. If you believe any of these circumstances may have occurred to you it is imperative you gather all the available paperwork you have available and examine it closely before deciding on a course of action. What should I do if my GAP insurance was mis-sold? If you have examined all the information you have available and you believe you have been mis-sold GAP insurance, your first approach should be to the principal of the dealership that sold you the policy. Outline your complaint in writing in clear, business-like terms; you may be angry and annoyed at the situation but remaining calm is crucial. Making a complaint in writing ensures a paper trail and means a response is required by law. If a resolution is not reached by direct communication with the dealership you can ask the Citizen’s Advice Bureau for assistance, and you can escalate the claim further by making a formal complaint to the Financial Ombudsman. If they decide you have a case they can assist in pursuing the matter further. ** Sometimes we show a link with a * next to it. It means that it is an affiliate link and as a result helps HonestJohn Vans stay free to use. It's tracked to us and if you go through it, it can sometimes result in a payment or benefit to the site.